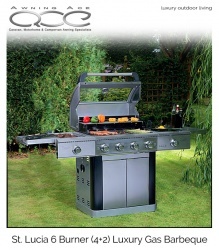 Lifestyle Bahama Full Stainless Steel Luxury Gas Barbecue. When only the very best will do for the ultimate outdoor entertaining experience, the Bahama Garden Kitchen is hard to beat. 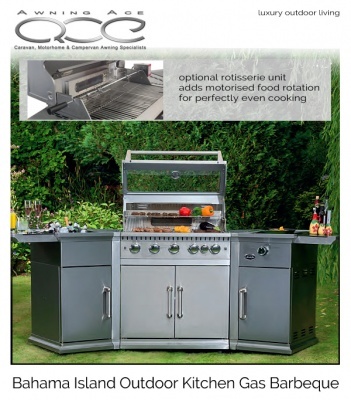 Constructed from high-quality stainless steel this barbecue can be configured as a straight or angled cooking and preparation area - both designs allow for maximum access to the enormous storage space. A large double door central unit has a single stainless steel shelf with the two side cabinets offering enough storage space for even the largest family event. 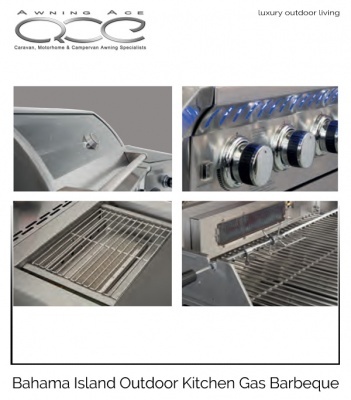 The central barbecue area contains five high powered stainless steel burners each delivering 11,600 BTU's (3.4kW) - that's a massive total output of 58,00 BTU's (17kW). The flexible cooking area is a generous 77.5(w) x 49(d)cm and can be independently controlled from the elegantly lit blue LED control panel allowing the chef to spit roast, grill, boil, roast, fry, and even sizzle cook just about any food for almost any occasion. A spacious internal stainless steel warming rack with flame tamer allows for easy movement of cooked food or a superb area for smoking. The double skinned barbecue roasting hood features an external temperature gauge and elegant full-width stainless steel handle. Two internal halogen lights softly illuminate the internal cooking area when the hood is open making for the perfect work area even after the sun goes down. The right-hand cabinet unit has a slide-out top worksurface which conceals an amazing infrared sizzle side burner measuring 27(w) x 36(d)cm and delivering 8,850 BTU's (2.6kW). When in the open position the work surface is sturdy and stable with a lovely smooth sliding action. The left-hand cabinet unit also has a smooth slide out worksurface which hides a superb integrated ice bucket measuring 24(w) x 30(d) x 20(h)cm - fill with ice to cool your drinks, salads or sauces. 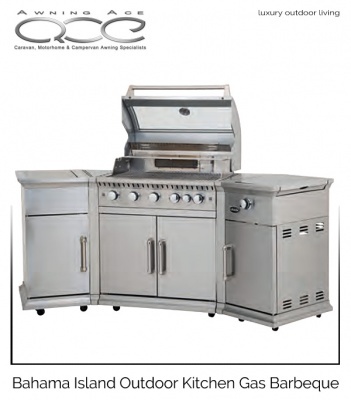 Lifestyle St. Lucia Stainless Steel Luxury Gas Barbecue. Super stylish outdoor entertaining experience, the St. Lucia Stainless Steel Luxury gas barbecue offers some exceptional features. Constructed from high-quality stainless steel and powder coated steel. A large double door central unit has a large shelf with enough storage for the largest family gathering. 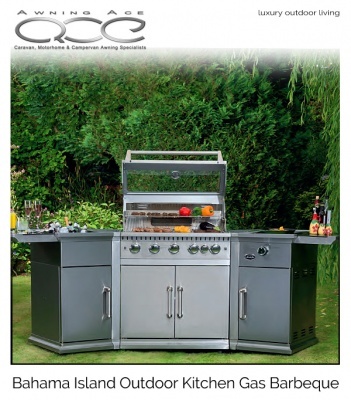 Dominica Deluxe 6 Burner Steel Gas Barbecue. 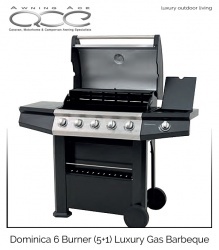 Beautifully made and superbly functional, the Dominica barbecue is constructed from high-quality stainless steel and powder coated steel making it extremely durable and very stable. The Dominica gas BBQ makes a fantastic focal point and is simple to move around making it flexible and always ready for you to entertain.